If one is to truly fathom the value of independence, it is essential to understand the pain being oppressed and subservient in the face of a foreign power. This is why we are grateful to all our heroes who sacrificed their lives in order to restore and sustain our nation’s independence. 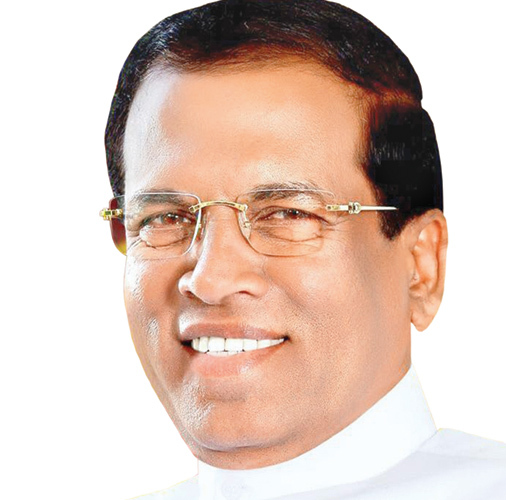 On a day like today, when the value of freedom is commemorated, the nation pays tribute to its true patriots whose contribution to our motherland was invaluable, states President Maithripala Sirisena in an Independence Day message. The message adds:”As Sri Lanka celebrates seven decades of independence, it is appropriate to reflect on how far we have come as a nation. In terms of achieving human development, and various social, economic, and political challenges we were faced with, the progress we have ahieved over this period is laudable. “I believe that as a nation with a unique identity, we have what it takes to overcome any challenge. We have proven it throughout our history. Today, we must show once again that Sri Lanka is a nation that can rise within a short span of time. We have to undertake many a mission, including achieving inclusive green growth. National reconciliation, and uplifting the quality and competitiveness of our human capital in a global scale. “We must also remember that true freedom does not comprise only of political freedom. Our independence is not complete until economic and cultural freedom is achieved. In our journey towards economic freedom, this year is a crucial one. “As a country, our future successes lie in our commitment to achieve long term goals with firm determination, as we have done in the past. Completion of the Moragahakanda reservoir as the last massive step in the Mahaweli development programme is a testimony to our perseverance and commitment to meet such long term goals. This year has been declared the “National Food Production Year”, with hopes to reach the goal of food security, a dream that our nation has had since independence. “On this occasion that we celebrate seven decades of Independence, I pledge to fulfil all my duties towards mother Lanka, and I emphasize that our true strength is in our unity and determination,” the message adds.